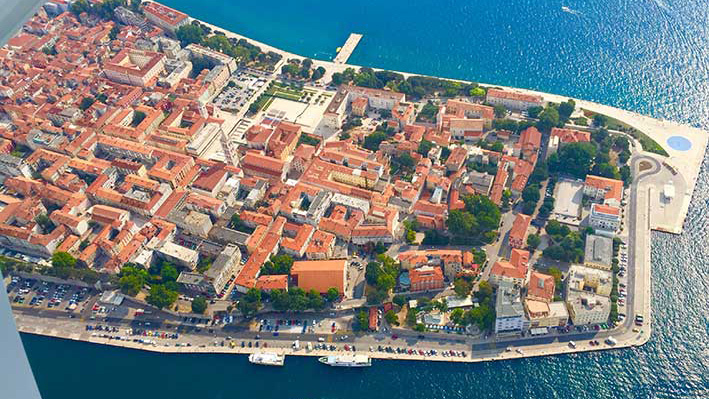 ZADAR… If you haven’t been to the old town of Zadar, put it on your to do list. The Roman forum is over 2000 years old and an amazing sight to see from the air (if you want to sleep in a hostel overlooking the Forum and the St. Donat church, check out Boutique Hostel Forum). KORNATI… You’ll be able to see a part of the unforgettable Kornati National Park which consists of an incredible collection of 89 islands, islets and reefs. Once you see them from the air, you’ll want to visit them by boat. PAG… The party island of Pag is also a special sight to see from the air. It’s almost completely barren due to the merciless Bura wind which strips it of most of its vegetation. Some even say it resembles the surface of the Moon. PAKLENICA… In the final part of the flight you’ll be able catch a great view of Mala and Velika Paklenica and the surrounding National Park. Whether you’re a climber or not, it’s definitely worth visiting. 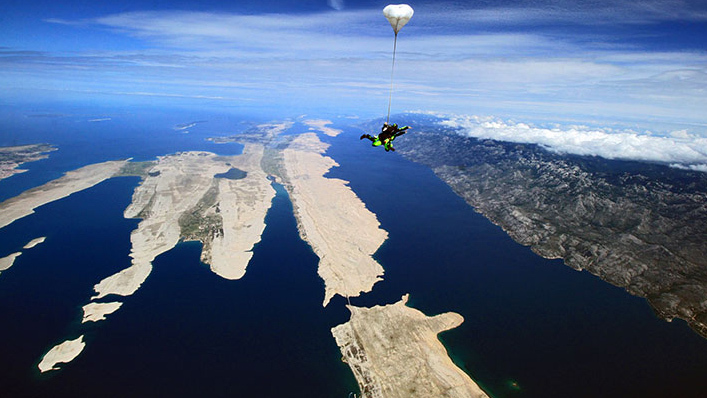 VELEBIT… The biggest and longest mountain range in Croatia will seem within reach just before your tandem skydiving experience. 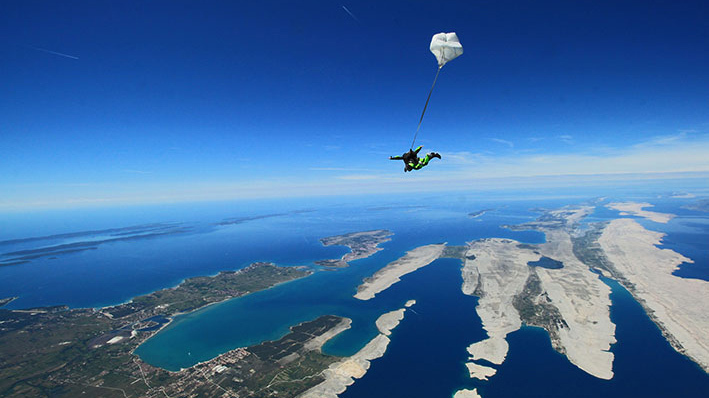 Velebit is awe-inspiring and reaches as far as the eye can see, even from 3000 meters.